Childhood Cancer – two words that should never appear in the same sentence, let alone linked!! The term “childhood cancer” is most commonly used to designate cancer that arises in children before the age of 18 years. Childhood cancers are rare, representing between 0.5% and 4.6%* of all cancers. The overall incidence rates of childhood cancer vary between 50 and 200 per million* children across the world. Each year thousands of children are diagnosed with cancer – Worldwide, a child is diagnosed every 2 minutes. Worldwide, 300,000 children are diagnosed with cancer each year. Generally, more children die of Childhood Cancer than from any other disease – more than AIDS, asthma, cystic fibrosis, congenital anomalies and diabetes combined. Children with cancer aren’t little adults fighting adult cancers. They require unique treatment and research. 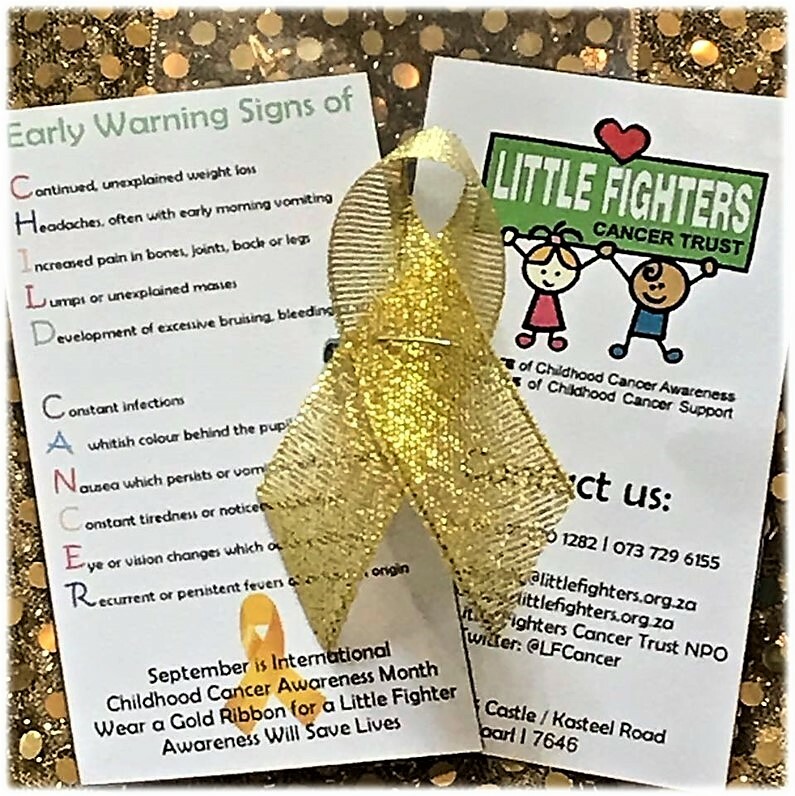 The above schools also have Gold Ribbon packs (Gold Child Cancer Awareness Ribbons and Early Warning Signs card) for sale @ R10 each, so please support and Go GOLD!!! Early Warning Signs posters have also been handed out at 85 underprivileged creches in and around Paarl in conjunction with Valcare. 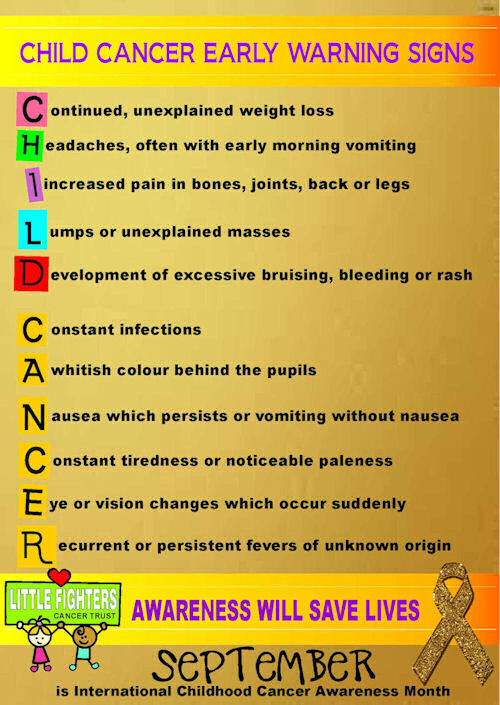 Watch this blog,n our Facebook Page and Twitter for more info around Child Cancer Awareness and what else LFCT is doing throughout the month of September, and remember to GO GOLD in September.